You heard this before: Collect moments not things. Bonding time with your child doesn’t stop when your child starts driving, or when he goes away to college. A child, from infancy to adulthood need quality time with their parents. Wait, forget about the studies. Just ask your grandma or your mom. There’s no need to do an extensive research. You just have to listen to the wisdom of the elders: a parent’s goal is to raise a happy and well-adjusted child. Earlier this week, I was fortunate to see the Broadway play, “The Lion King” with my 21 year-old son, Jonathon, who grew up watching the American epic musical film by Walt Disney Films. I was born in the Philippines, and music was very much part of my childhood life. I call it a gift from my parents, more than a family tradition. As a family, we ate dinner together and when dinner was over, my brothers and I would sing while Dad and Mom played the piano. When my parents had to move, my Mom gave her piano to my son, Jonathon, since it would be cumbersome to move it, plus she thought it was time for my children to learn how to play the piano. She always insisted that music would be great for the children. He was about 3 years old. To this day, Jonathon had not stopped tinkering with the piano keys. 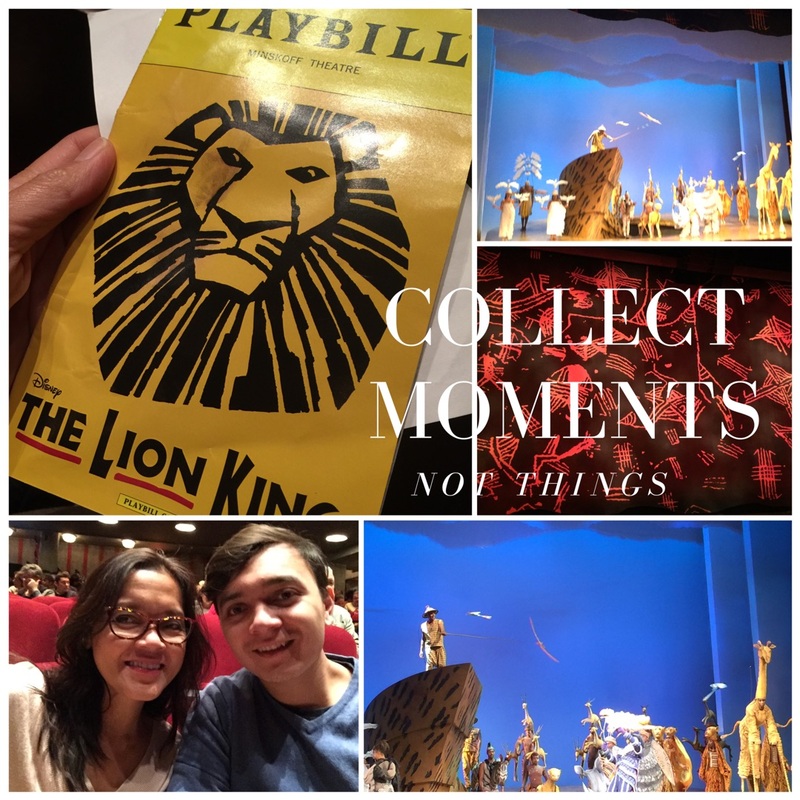 It was my first time to watch “The Lion King” on Broadway. The two times my husband bought tickets to see the play, I ended up flying to the Philippines to be with my Dad. Luckily for my son, this was his third. The opening act was so beautifully done that I got emotional (as usual). The elaborate and wonderfully crafted set design, costumes, dance choreography and musical compositions resulted in plenty of applause and surprises. As a parent, watching "The Lion King" on Broadway will make you appreciate the hard work of every child’s music, voice, dance and art lessons. Every move will remind you of the determination – sweat, tears and joys of every creative talent presented and showcased on stage. 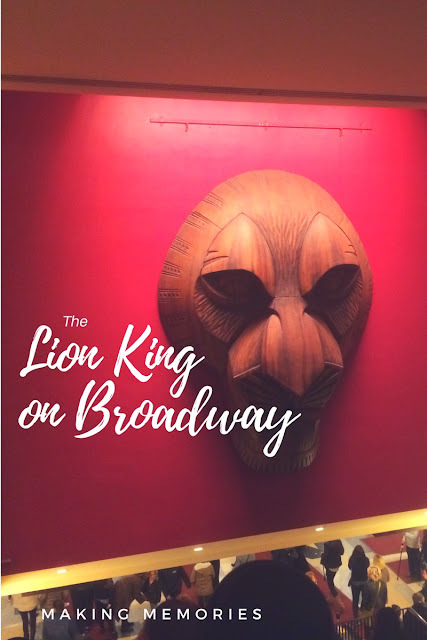 Most people travel far to go see Lion King on Broadway. However, If you live in the New York metropolitan area, I suggest you take time to see this breath-taking play. Make it a tradition, a gift. Here's my interview with the cast and crew of The Lion King.